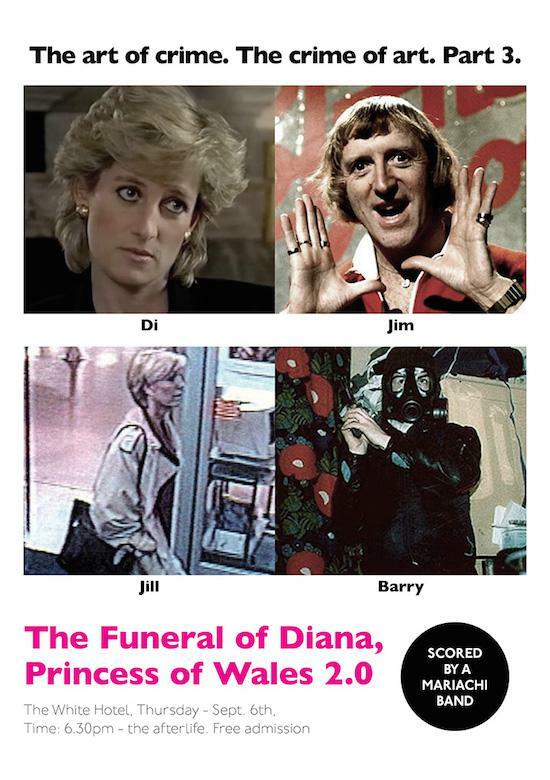 Salford's White Hotel venue has called upon artist Stanley Schtinter to present a word for word re-enactment of Princess Diana's funeral with a Mexican Mariachi band, as part of a special commission. Marking the anniversary of the original 1997 production, guest appearances will include writer and filmmaker Chris Petit as Master of Ceremonies as well as Jonathan Meades as Earl Spencer. "This is not a work of art but an exorcism," explains Austin Collings, artistic director of The White Hotel, offering few more details on just what the re-enactment will involve. The procession will start at 6.30pm on September 6 with details found in the poster above. Admission is free, but attendees are expected to bring flowers.